Reprint. Originally published: New York: Alfred A. Knopf, 2017. The brilliantly gripping new novel from the New York Times best-selling author of The Pilot's Wife (an Oprah's Book Club selection). 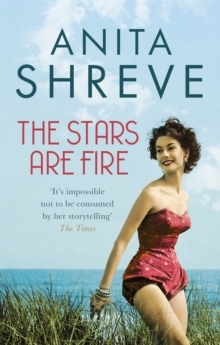 'Long before Liane Moriarty was spinning her Big Little Lies, Shreve was spicing up domestic doings..She still is, as effectively as ever, this time with a narrative literally lit from within' New York TimesHot breath on Grace's face. Claire is screaming, and Grace is on her feet. As she lifts her daughter, a wall of fire fills the window. Perhaps a quarter of a mile back, if even that. Where's Gene? Didn't he come home? 1947. Fires are racing along the coast of Maine after a summer-long drought, ravaging thousands of acres, causing unprecedented confusion and fear. Five months pregnant, Grace Holland is left alone to protect her two toddlers when her difficult and unpredictable husband Gene joins the volunteers fighting to bring the fire under control. Along with her best friend, Rosie, and Rosie's two young children, the women watch in horror as their houses go up in flames, then walk into the ocean as a last resort. They spend the night frantically trying to save their children. When dawn comes, they have miraculously survived, but their lives are forever changed: homeless, penniless, and left to face an uncertain future. As Grace awaits news of her husband's fate, she is thrust into a new world in which she must make a life on her own, beginning with absolutely nothing; she must find work, a home, a way to provide for her children.